The proposed legislation has been hailed as one of the most progressive climate change policies. World leaders and scientists alike have agreed that the biggest threat currently facing humanity is climate change. Although the United States withdrew from the Paris Agreement in June of 2017, the American people have remained committed to doing their part to mitigate risks and build towards a more sustainable low-carbon future. New York has already joined Washington state and California—the nation’s leader in emissions reduction—to build an alliance of states that will guide the nation to Paris compliance in the absence of leadership from the federal government. But the Empire state hasn’t stopped there, New York is upping the anti with the introduction of the Climate and Community Protection Act. The proposed legislation has been hailed as one of the most progressive climate change policies and has already received overwhelming support from New York state Senators. The policy was developed with the leadership and input of communities on the frontlines of climate change, from New York City to Buffalo. It’s supported by a coalition of over 150 community organizations, including environmental justice groups, community organizations, and labor leaders. Sponsored by Todd Kaminsky in the New York State Senate and Steve Englebright in the New York State Assembly, the Climate and Community Protection Act (CCPA) establishes aggressive mandates to ensure New York achieves a 100 percent reduction in greenhouse gas emissions in the next 30 years, keeping the state in line with UN recommendations to avoid catastrophic global warming. The CCPA also includes some of the country’s most progressive jobs and equity provisions of any green legislation in the United States. Under the CCPA, 40 percent of state energy and climate funds used to propel the transition must be invested in low-income communities and communities of color. In addition to this, the CCPA would attach fair labor standards to green projects receiving state funding, including prevailing wage standards. The legislation has passed the New York State Assembly in the past three legislative sessions but was blocked from coming to the floor in the previous State Senate. 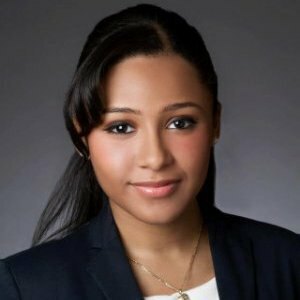 This year, along with Kaminski and Englebright, both Assembly Speaker Carl Heastie and Senate Majority Leader Andrea Stewart-Cousins have pointed to CCPA as the way forward for climate policy in NY. Many are thrilled about the progress that the CCPA has been able to make. Amongst those happy is NY Renews, a nonpartisan coalition of almost 170 member organizations. The coalition seeks a sustainable future for the earth and its people, recognizing that climate change represents a threat to all and especially to vulnerable people such as workers, people of color, seniors, youth, and the poor. NY Renews believes that the climate crisis and the inequality crisis can be solved with the same set of policies, and that climate protection must serve as a means to challenge racial injustice and bring about greater economic equity. Although the policy has yet to be passed, it has already made it possible for organizations like UPROSE to begin developing projects that will benefit local communities. In Sunset Park, UPROSE (one of the NY Renews coalition members) was able to create the country's first urban community-owned solar energy project. Because it's owned by the community and not energy companies, there's no profit-making incentive to jack up prices. Membership in the solar co-op is open to low-income residents and is expected to reduce the utility bills of residents by 20 percent. UPROSE is also working on transforming some of the waterfront industrial spaces in Sunset Park and Red Hook into wind turbine manufacturing, with a focus on hiring in the community and providing good wages and benefits. "The Climate and Community Protection Act isn't just about the environment. 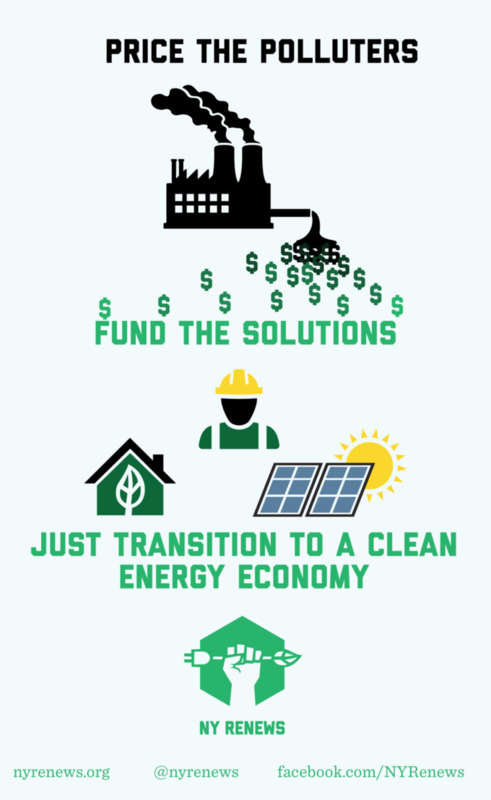 By mandating that 40 percent of state funds for the green energy transition are invested in frontline communities, we can ensure that we use our response to the climate crisis to transform our economy and direct resources to communities that need it the most. 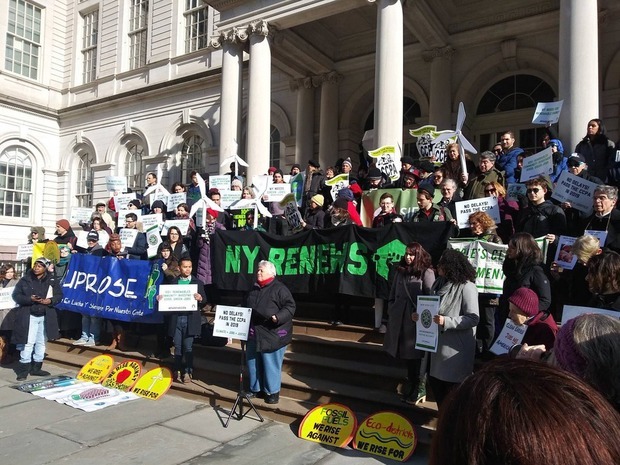 Instead of dumping pollutants on marginalized communities, we can let low-income neighborhoods lead us in a just transition to a renewable future,” said Jose Lopez of Make the Road, another member of the NY Renews steering committee. It would have been easy to think that the U.S. would be sent in a downward spiral that would have grave repercussions after withdrawing from the Paris Climate accord. However, it seems that this move has empowered people to take control of the situation and fight towards a better future. The CCPA isn’t the only way in which New York State is attempting to lead the fight against climate change. 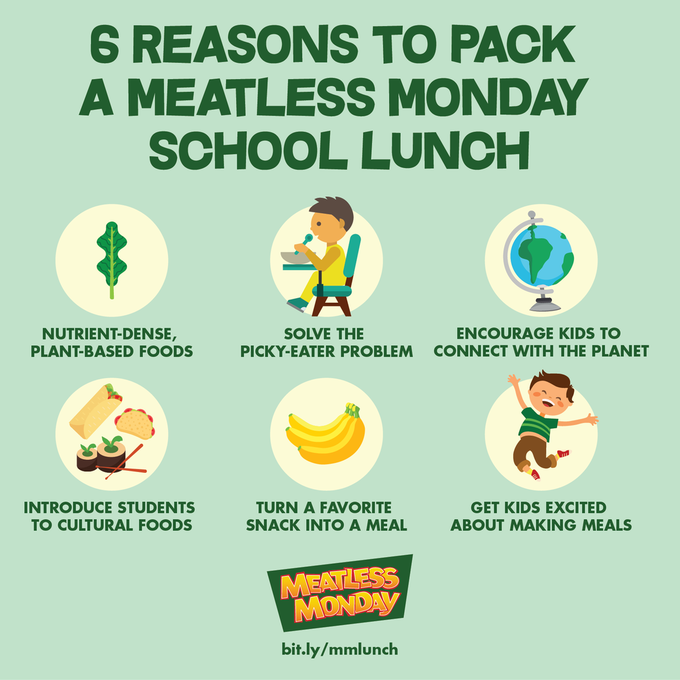 On March 11, Mayor Bill de Blasio, Schools Chancellor Richard A. Carranza, and Brooklyn Borough President Eric Adams announced that all New York City public schools will have “Meatless Mondays” beginning in the 2019-2020 school year. The program, which was first piloted in 15 schools in Brooklyn in the Spring of 2018, will provide students with healthy, all-vegetarian breakfast and lunch menus every Monday. In addition to “Meatless Mondays” and the CCPA, the fight for a Green New Deal for NY is ramping up following a series of passionate public hearings to stop the Williams fracked gas pipeline. On March 15, protesters rallied on the steps of City Hall with elected officials like Comptroller Stringer and city councilmembers on the last day of the DEC comment period to show mass opposition to the Williams pipeline and for a #GreenNewDeal4NY. In addition to the rallies, over 50 elected officials have signed a letter to Gov. Cuomo opposing the pipeline, along with over 14,400 petition signatures and more than 200 NY groups, including local politicians, like Rafael Espinal, Julia Salazar, and Antonio Reynoso. The action continues on March 20, at the GreenNewDeal4NY Accountability Forum where attendees can question the state’s top officials on concrete action to deliver real climate justice. For details and information RSVP here. Whether it be in the form of legislation, lifestyle changes, or just taking to the streets— it’s clear that New Yorkers across the state aren’t just asking for change, they’re demanding it. With the introduction of the Climate and Community Protection Act, Meatless Mondays and the push for a GreenNewDeal4NY, New Yorkers are all on the same team when it comes to preserving the planet. Cover image courtesy of Indivisible Nation BK via Twitter. All other images courtesy of NY Renews, unless otherwise specified.